On Wednesday, Treasury Secretary Jacob Lew announced that Alexander Hamilton would remain the face of the $10 bill, despite an announcement several months ago that Hamilton would be swapped out for a female figure. The goal of the original proposal was to honor the women's suffrage movement, which successfully earned women the right to vote in 1920. Now, Hamilton will remain on the front of the currency, but the new $10 bill will honor women's suffrage with a mural on the back. Instead of swapping Hamilton, who is considered the father of the U.S. financial system, for a female figure, the Treasury Department has decided to print Harriet Tubman's face on the $20 bill, removing Andrew Jackson. Jackson's place on American currency has been called into question lately, due to the facts that the former president owned slaves and actually spoke out against paper currency. Jackson won't lose his place entirely, though, as his face will remain on the back of the 20. 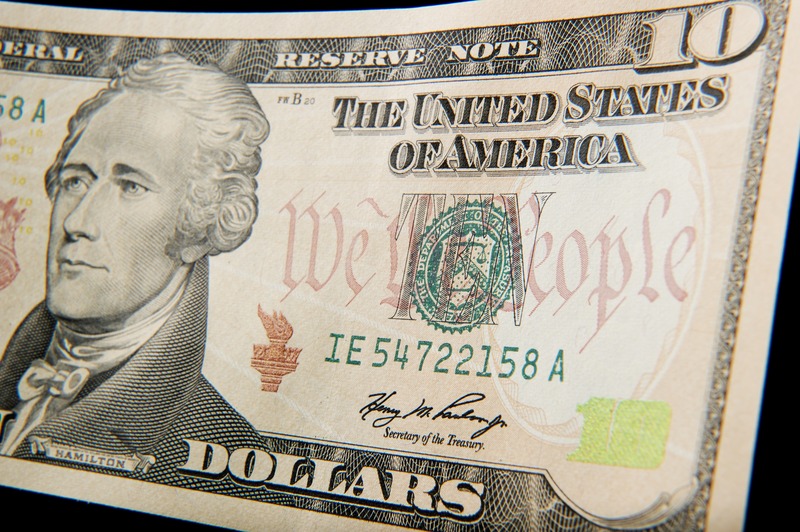 Although Hamilton will maintain his position on the $10 bill, the back of that bill will also change. In a tribute to the women's suffrage movement and the Nineteenth Amendment, which will celebrate its centennial in 2020, the back of the 10 will feature a historic scene from the movement, as well as prominent female leaders. The new $10 bill will depict a scene from a 1913 women's suffrage parade in Washington, D.C. During the parade, thousands of activists marched from the Capitol to the Treasury to call for an amendment to the Constitution that would allow women the right to vote. According to the Treasury Department, the scene on the new $10 note will feature Susan B. Anthony, Alice Paul, Sojourner Truth, Elizabeth Cady Stanton, and Lucretia Mott — all important members of the movement. The Treasury's announcement didn't deliver exactly what Americans — particularly women's rights activists — had expected, considering the new $10 note won't feature a woman on the front. As a result, reactions were mixed, with some celebrating the two-step process of incorporating women onto currency, and others questioning why the plan was changed. One concern in particular was that the $10 bill is supposed to be redesigned before the 20, meaning women could have to wait longer than expected to be represented on the front of a note. Ultimately, though, the mural on the back of the new $10 note is just one step toward the Treasury Department's campaign to modernize American currency. It may not be what was originally promised, but it's still a historic step in the right direction. Moving forward, Americans can probably expect to see other similarly diverse redesigns, making American money more reflective of the country it supports.